Two of our Sport Business and Leadership MSc students recently participated in the Smart Stadia Hackathon hosted by Chelsea Football Club. Charlie share’s his experience of the event in this week’s blog post. At Chelsea’s Smart Stadia hackathon, disruptive sports tech companies from around the world were asked to propose different niched solutions that would improve the fan experience on match days. Elizabeth and I worked alongside Ryan McCumber (former Global Head of Tech at KPMG) to pitch technological solutions from companies that could radically improve the future matchday experiences of fans at Stamford Bridge. LAVA is an in-the-moment platform that is connected to all systems and triggered by many events. For example, imagine through the match ticket in your phone that Chelsea FC could randomly select to pay for your tube travel to the game, or if they could offer discounted food and drinks if your favourite player scores a brace. LAVA allows marketers to surprise and delight customers using connected systems in real time. The concept has been pioneered by the Sacramento Kings who have the ‘NBA’s most innovative fan experience’ according to Forbes Magazine, and it has also just been rolled out in Atlanta’s futuristic Mercedes Benz stadium. Solos Ltd is a wearable technology company which could turn your official matchday shirt into your season ticket and would allow you to access exclusive content from your favourite Chelsea FC players. Patented technology could also turn your shirt into a contactless payment method to guarantee a completely seamless matchday journey for fans. With LAVA and Solos connected together, Chelsea Football Club could have the world’s most advanced fan experience in world football. The hack was a week of collaborative innovation that moved the club forward and provided the companies the opportunity a behind the scenes look into the global brand of Chelsea FC. 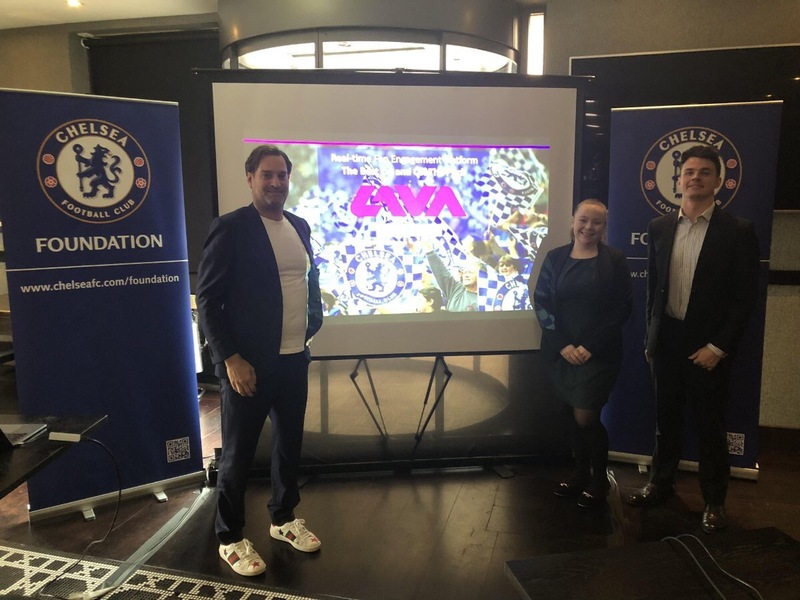 We heard from Chelsea experts working in digital and youth marketing, global fan engagement, match day experience, fan relationship management and corporate hospitality. 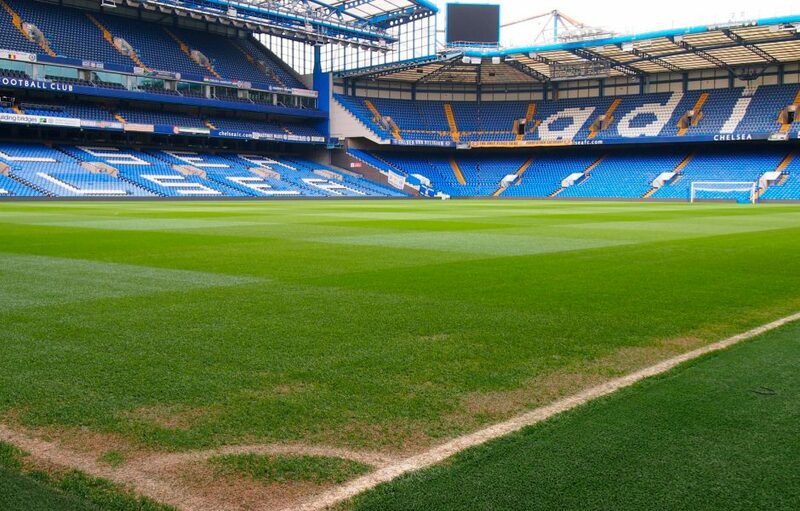 We also had the opportunity to speak to the Project Director in charge of building the new Stamford Bridge Stadium to understand what it takes to create a smart stadium befitting a club of Chelsea’s size and stature. Those pitching to Chelsea included a range of tech companies that were hoping to improve the fan experience both inside and out of the ground. There were VR and AR companies; mobile applications to gamify advertising and engage users; wearable tech solutions to engage with young fans; and staffing solutions to help the club take more control of its matchday staff as well as those volunteering for the club’s community charity foundation. I’d just like to say a huge thank you again to Carl, at Chelsea FC, and Ryan, at LAVA and Solos, for the opportunity to be a part of such an amazing event. For me, the best part of studying a Master’s at Loughborough University is the plethora of out-of-classroom opportunities that the university can offer to add extra value to my degree. 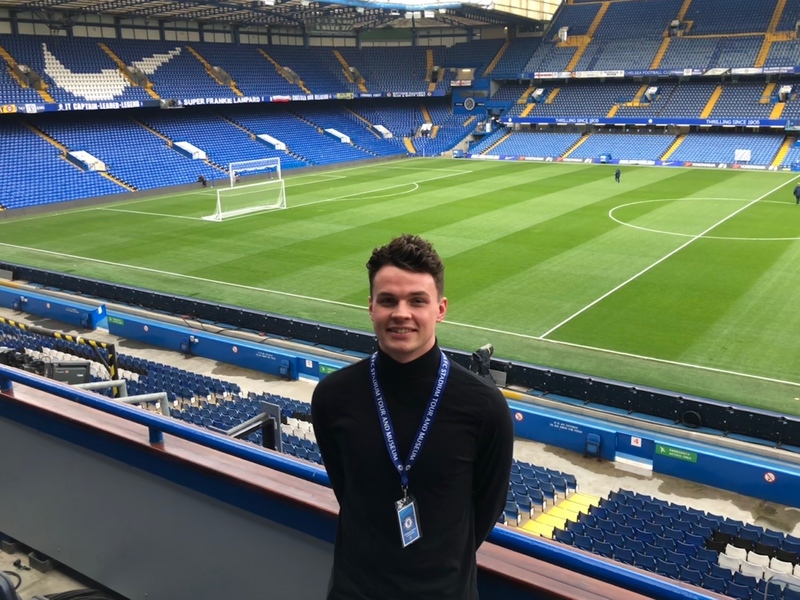 I’ve learnt huge amounts from this week at Stamford Bridge with sports tech companies that are changing the way we consume sports into the future. Thank you Charlie for your fantastic blog about the event. Read our news story to find out more about the Chelsea Stadia Hackathon. Take a look at our Sport Business programmes here.